A good brunch can absolutely make a day. 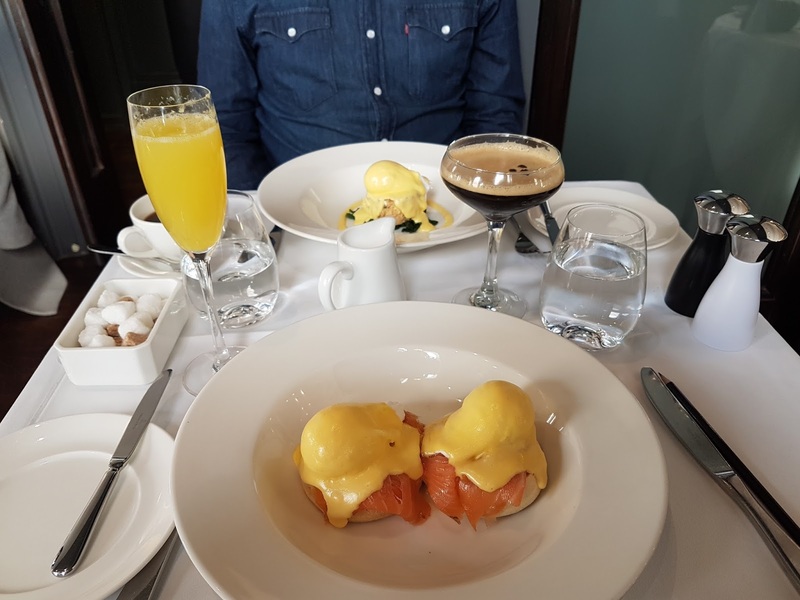 A few Saturday's ago, we headed to Christopher's in Covent Garden and it was one of the best brunches I've had. The building is beautiful and we really felt like we were having something special. The restaurant is upstairs and is so grand. There was light coming through from all the windows, and we had a good view of the Lyceum, where we were going to later on that day. The menu was also one of the vast I've seen for brunch. There are all sorts of eggs, pancakes, french toasts and drinks on the menu and were really spoilt for choice. We decided on Eggs Royale (with salmon and hollandaise sauce on a muffin) and Eggs Maryland, similar to the Royale, but with crabcake and spinach instead. The dessert was truly epic though. 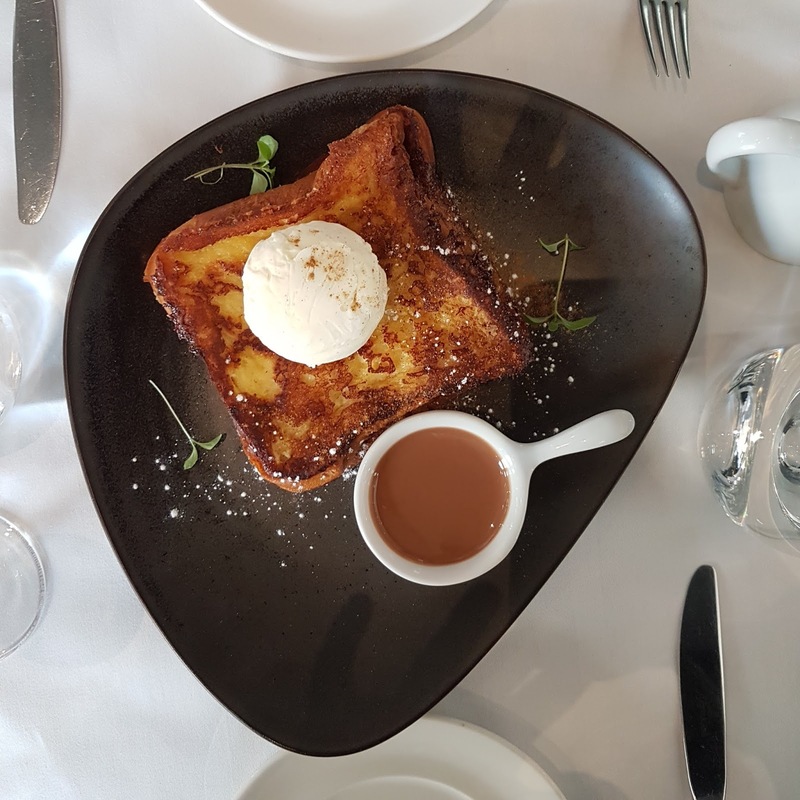 We opted for Brioche French Toast, where the toasts had chocolate sauce in between them, with vanilla ice cream and melted milk chocolate on top. So the verdict is: great food, great atmosphere and desserts to die for. Brunch is my absolute favourite meal. I wasn't always into it, but when Ian started working shifts, it became the only meal we could go out for together and I came to love it. Since we've moved, we have a lot less options for good brunch which always makes me sad - there's no better way to spend a weekend morning than with eggs, bacon and mimosas!